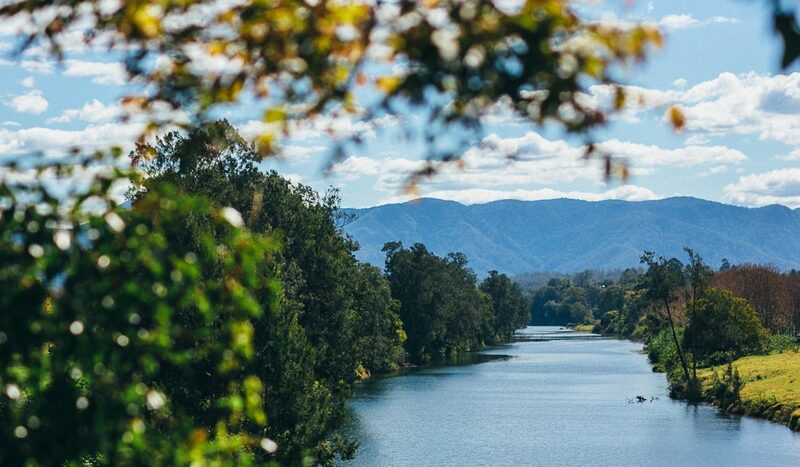 The Never Never River, on the outskirts of Bellingen (photo: Elise Hassey). 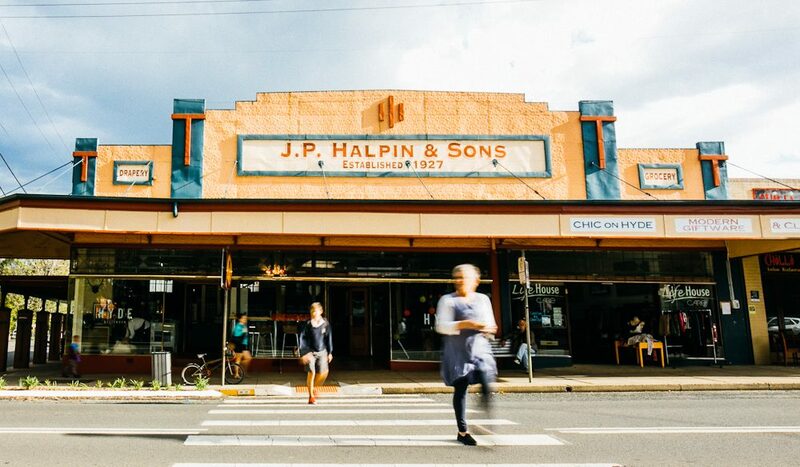 With its hippie vibe and natural-treat-filled cafés, nestled neatly in some of Australia’s most incredible countryside, Bellingen is a means of transporting yourself back to Byron Bay circa 1970. 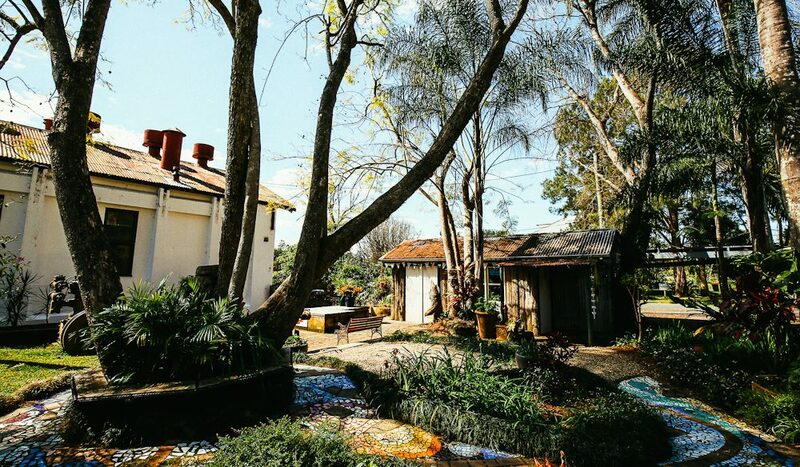 A 30-minute drive south-west from Coffs Harbour, this creative hub is a place where organic is a way of life: a walk through the fortnightly farmers’ markets (held on the second and fourth Saturday of each month at the showgrounds) will show you that. Outskirts of town are decorated with crystal-clear waterways fed by the Never Never River hidden within the valleys of mountains; a short drive will have you wandering around such tranquil escapes where nature turns on its charm as you sit by streams, listening to a soundtrack suited to a day spa. Calling the heart of said mountains and waterways home is Cottonwood Cottage which, like Byron, has found the perfect balance between beach and country. For around $300 per night (minimum two-night stay) you can nestle in and lap up the luxury of your environs including private swimming hole on the Never Never, outdoor bath and shower (indoor ones as well), white French doors opening to a vista of rolling mountains (viewable from under the covers of your king-sized bed), and the all-important love chair, perched atop the hill for sunset gazing. Alternatively, rest your head at North Farm, with its lovely soft beds and gardens filled with organic and biodynamic goodies. Resident greenkeeper John Hodgkinson is more than happy to converse about the vivacious veggie patch or any other topic. 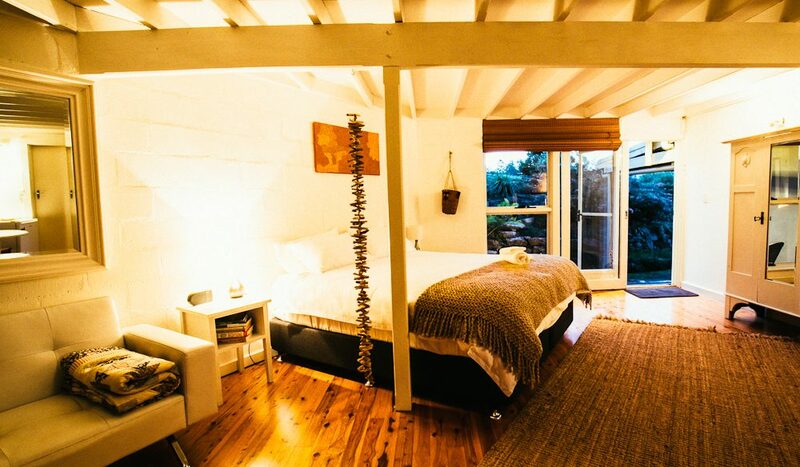 The studio will set you back around $200 per night for two. Hungry? There’s a sophisticated menu of eateries on offer here: Black Bear Café will get you started with a great cup of rocket fuel and breaky selection. The pancakes with grilled banana, vanilla ice-cream and lemon myrtle maple syrup deserve a shout out. There’s also no green waste, with owner Byron Vinecombe supplying his father with whatever greenery he discards to be used for compost in the garden that in turn supplies the café with veggies. Groovy. Next stop is the Old Butter Factory just on the outskirts where you can enjoy some tasty eats while indulging in a little shopping: Cargo Lane offers a range of imported homewares from Morocco worthy of maxing plastic, while AWL Leather has been making leather goods since 1991 – poke your head into one of the art galleries filled with displays from local artists too. 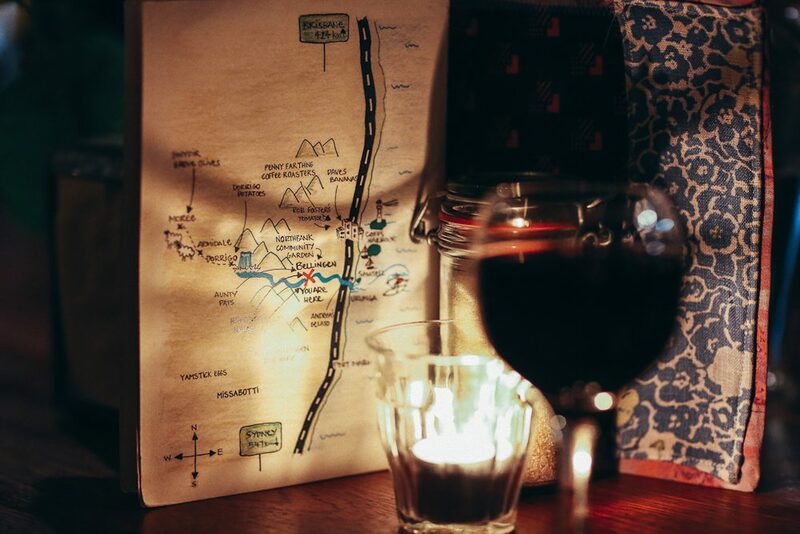 Finally, No 5 Church will satisfy your dinner cravings with a biodynamic/organic/local produce-inspired menu of vegetarian and carnivorous dishes including a mean curry made according to the seasons and a beef burger made with probably the most mouth-watering bacon to have graced our tastebuds. The venue is a great supporter of live music, too, with local and national acts gracing the stage to entertain as you eat and drink. If the writer thinks Bellingen has a ‘hippie vibe’, he/she should have been here in the 1970s when it was did have a hippie vibe. Those hippies of the 70s are now millionaires after purchasing old dairy farms for a song. The same land is now selling for hundreds of thousands of dollars, even millions. Bellingen is a great place to live young families and retirees, and has become a dormitory suburb of Coffs Harbour with improvements to the Pacific Highway, the city is only 20 to 25 minutes away. Agree with Rupert. I have lived in Bellingen for 25 years and there is no longer hippy culture like beautiful byron. Bellingen is a lovely little spot, but just because there’s quinoa and some local produce, doesn’t make it cultured. Thank, Kirra. What would it take for it to be cultured? I have lived in Bellingen for 25 years also, and Kirra is right, the strong Hippie Culture that existed then has diminished and changed. But, at that same time, there was an equally strong conservative farming community who didn’t at all see ‘eye to eye’ with the Hippies. I feel the community is now more mellow and balanced with the lessening of both those demographics and the arrival of the tree changers and professionals who can run their businesses remotely. There still remains a strong and vibrant community spirit and apart from the inevitable urban expansion, the natural beauty is still inspiring and revered. It is still a hub for creatives , and I imagine, for the journalists who visited … they were affected by the friendly and relaxed vibe. I grew up in Bellingen, with my family all still living there. Not a day goes by that I don’t miss the beautiful town. It takes an hour to go and buy milk at the local store, because everyone knows everyone and you can’t walk a few metres without bumping into someone you know and having a chat.